Beyond our services, here’s what makes us, us. 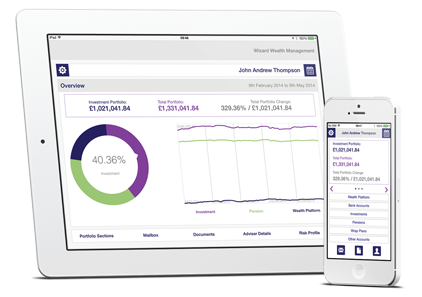 Revolutionise the way wealth management is delivered. Use technology to drive change and to deliver innovative solutions that are built for the future, and that of our clients. We will deliver services and strategies that are: Simple. Effective. Unique. We're confident in our ability, so we don't need to overstate, we are happy to keep it simple. When we talk we are clear. Our products and services are easy to use and easy to understand. We've been in the industry long enough to know what works (and what doesn't). So we don't create a product or service unless it’s beneficial to all. We then apply the following rules - is it strategic? Is it going to increase value for all? Is it simple to implement? And then we test it. All products and services can be copied. So we strive to make sure we're front-runners in everything we do. Anything we do compete on, we always make it better. Much better. We then apply the following rules to our thinking - is what we're doing different? Are we always creating? Always. When we design a new strategy or service, we ask ourselves — is this an innovation? By challenging ourselves to develop only the most innovative ideas, we produce the best for our clients. We believe in empowering clients to understand their finances better, and empowering advisers to serve their clients more effectively. We are not, and never will be, followers. Our aim is to lead the financial services industry forward by example. We never hold back from developing creative and exciting ideas, no matter how different they may be to what's in the market. This helps us deliver innovative strategies and services to advisers and clients. We believe that being able to move quickly is vital. That's why we operate in a way that enables us to develop, test and improve our ideas at speed.